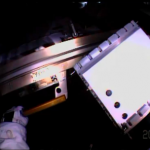 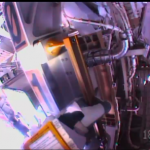 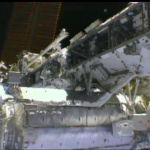 Earlier today Astronauts Rick Mastracchio and Steve Swanson stepped outside the International Space Station for a 1h 36m spacewalk to replace a failed Multiplexer/Demultiplexer (MDM) unit. 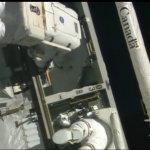 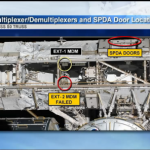 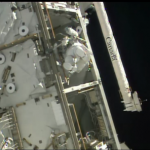 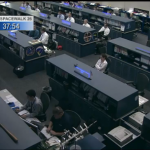 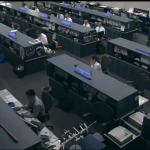 In addition they completed a get-ahead task to remove two lanyard’s from the Secondary Power Distribution Assembly SPDA doors, this will allow the Special Purpose Dexterous Manipulator attachment of the Canadarm2 to access the unit in future. 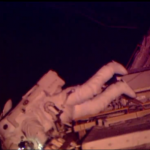 This was Rick’s ninth spacewalk who now has a total of 53h 4m under his belt moving him to 5th in the all time EVA list, and Steve’s fifth for a total of 27h 58m. 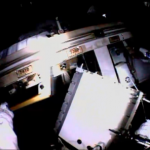 The replacement of the MDM unit went very smoothly and was successfully powered up while the Astronauts were still outside. 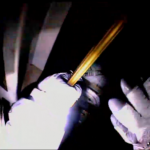 Steve Swanson then moved on to the frist SPDA lanyard removal which was also successfully completed. 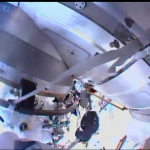 However during checkout of the SPDA door he wasn’t able to open it. 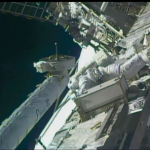 After further troubleshooting and some brute force Steve was able to resolve the issue. 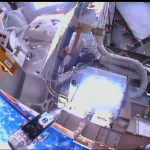 Steve then moved on to the second SPDA door which was also complete successfully. 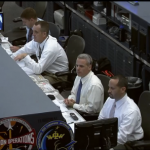 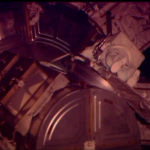 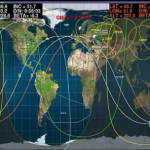 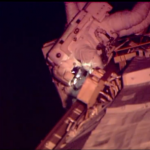 Despite starting slightly later than planned the two Astronaut’s completed the EVA ahead of time. 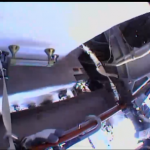 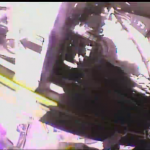 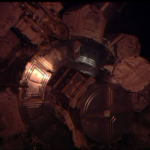 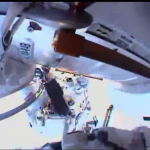 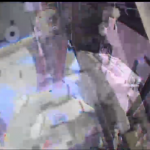 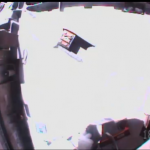 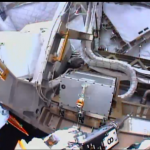 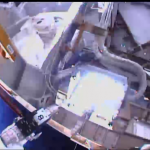 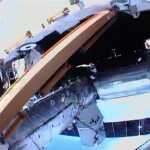 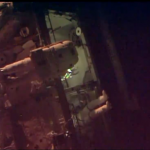 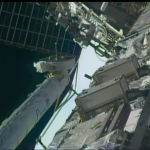 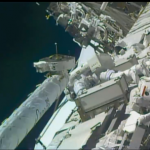 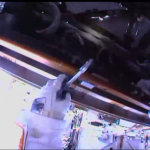 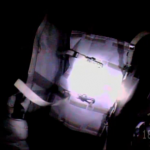 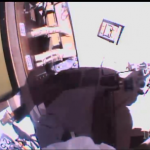 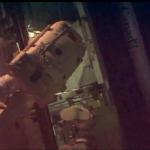 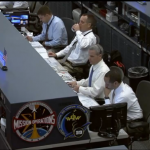 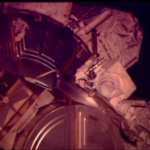 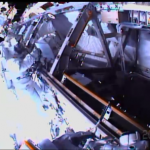 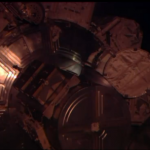 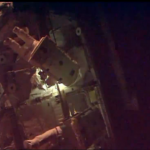 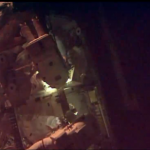 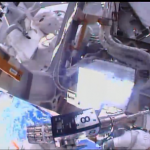 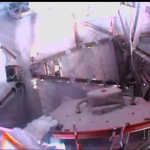 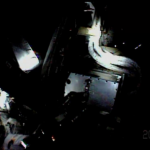 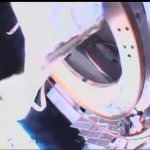 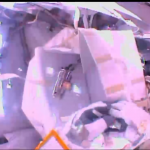 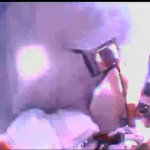 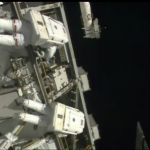 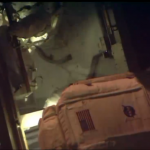 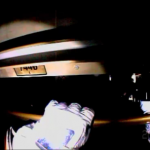 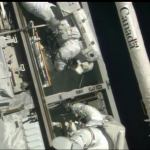 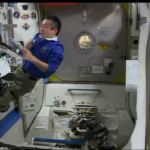 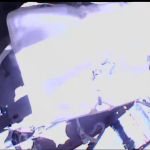 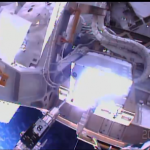 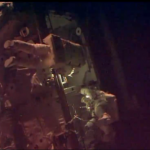 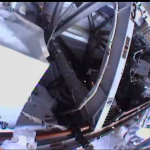 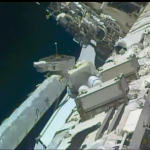 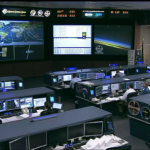 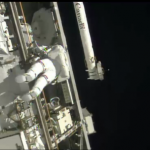 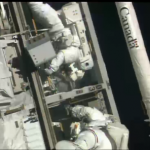 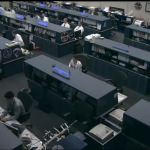 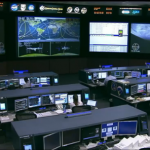 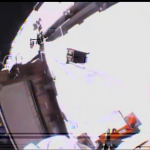 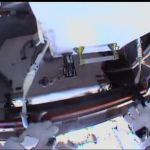 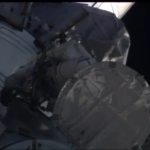 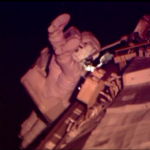 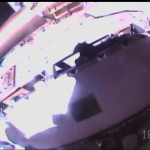 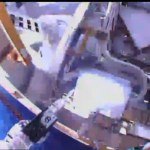 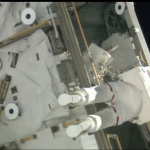 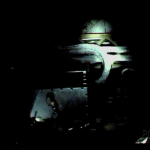 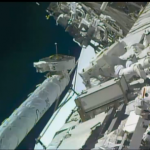 Below are screen captures of the spacewalk taken from NASA TV.